After staying at the Novotel Citygate near the Hong Kong airport and with our aunt in Kowloon, we then spent one night at Butterfly On Wellington in Central before heading off on our month-long Asia journey. 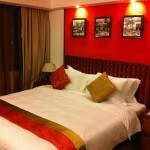 Multi-award winning Butterfly Group is a collection of boutique hotels and serviced apartments located around Hong Kong. We had the chance to stay at two out of the three hotels, first Wellington in Central during the first leg of our trip, and then Morrison in Causeway Bay a few weeks later. 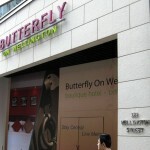 Butterfly On Wellington, which opened in September 2010, occupies a prime location in the core of Hong Kong’s central business district. A vibrant and creative area as well, Central includes an abundance of art galleries and shopping boutiques, antique shops on Hollywood Road, the Fringe club, and famous restaurants and nightlife in SOHO. Butterfly On Wellington offers eighty chic and cozy guest rooms & suites offering a fusion of modern and traditional Chinese styles. Providing true pampering and comfort with its best-in-class facilities, amenities and services: The lobby, located on the second floor, offers free wi-fi and an iMac corner also provides complimentary internet access for all guests to use. 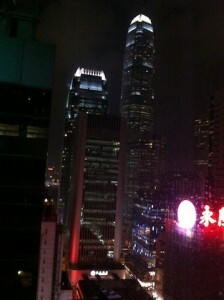 We stayed in their Executive Suite on the top (26th) floor. At approximately 430 square feet, this room was huge for Hong Kong standards. 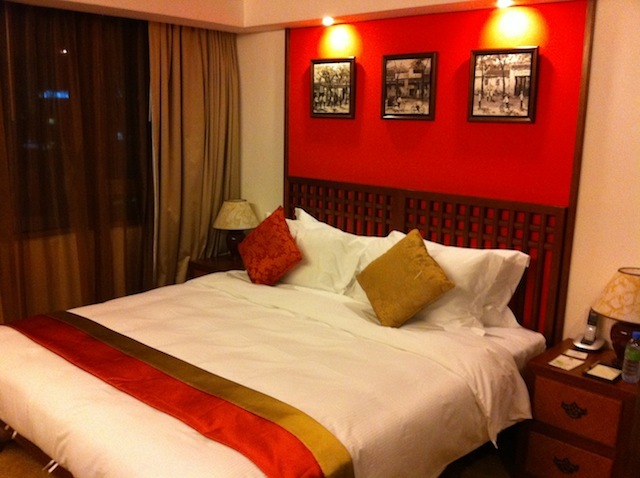 Our large and well appointed suite included a luxury king-size bed with Egyptian cotton linens and down blankets, comfy sectional couch, extended working desk, free high speed broadband internet access, and even a Nespresso coffee maker. Our bathroom felt like a spa – with a beautiful ceramic bowl sink and luxurious rain head shower, complete with plush towels, robes and slippers. Our room was a corner suite, with windows all around, and included a perfect view of IFC, or the”Batman Building” from the Darknight movie. 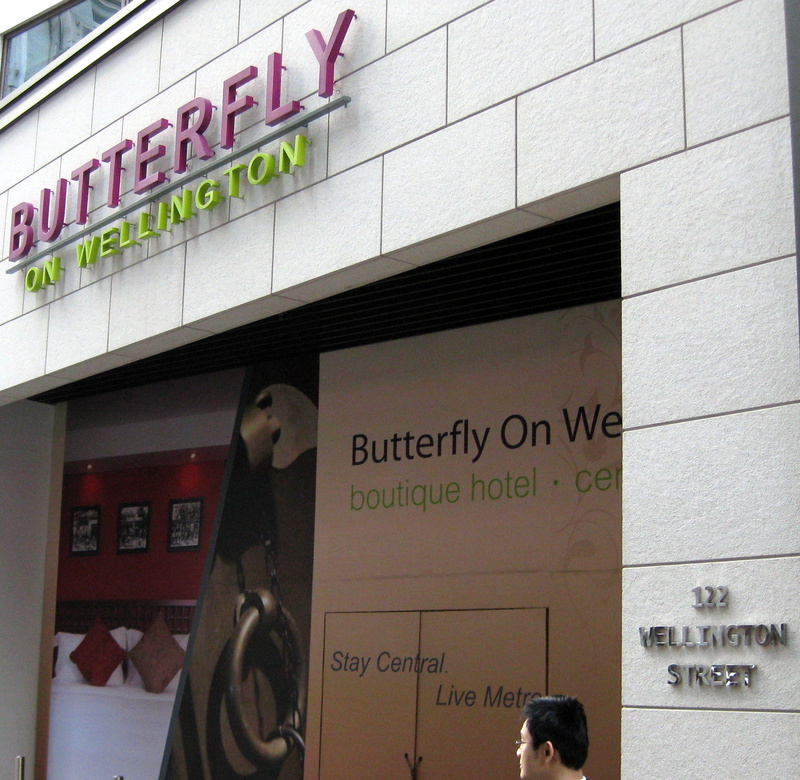 Service was friendly and efficient, and in a city with usually tiny and very expensive hotel rooms, stylish and comfortable Butterfly On Wellington was a pleasant surprise!